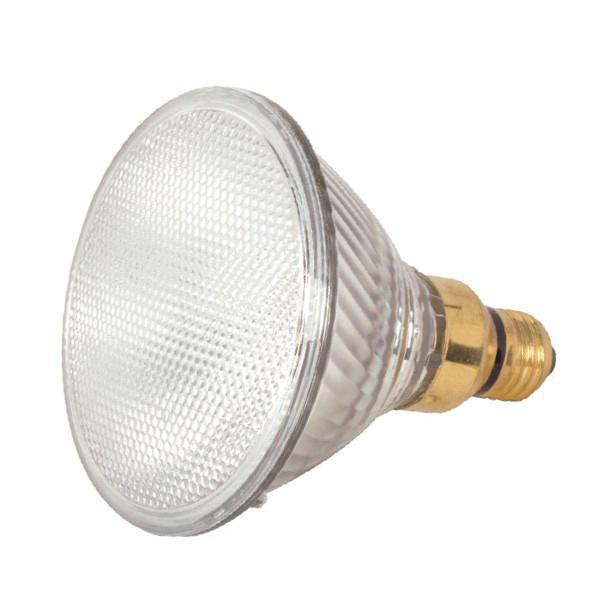 Satco 39-Watt PAR38 E26SK medium skirt base halogen lamp in clear color, offers 530 initial Lumens for crisp light output. It has voltage rating of 120-Volts. Lamp with 2900K color temperature rating radiates warm white light to the surrounding. This 5-5/16-Inch long lamp delivers average life of 1500 hours. It emits or distributes light at beam angle of 30-degree and is perfect for indoor or outdoor applications. Halogen lamp is RoHS compliant.